Free your mind with this step by step guide to Mantra Meditation and learn how to chant the Hare Krishna maha mantra. O Hare (energy of Krishna) O the all attractive one (Krishna) O the reservoir of all pleasure (Rama), please engage me in your loving devotional service. Chanting beads (Japa mala) with 108 beads. Rinse mouth with water and wash hands. Hold the first bead next to the furry Krishna bead between the middle finger and thumb. Place the index finger out of the bead bag hole. (The index finger represents the ego as it is used to point and fault find. 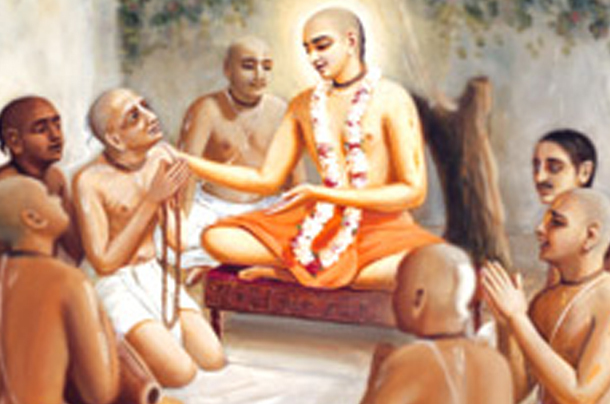 It is considered inauspicious and therefore not used when chanting. Further more, the middle fingers are used to increase concentration as they are connected to the heart and mind). Begin with chanting out loud the Panch Tatva Mantra for Blessings and mercy. 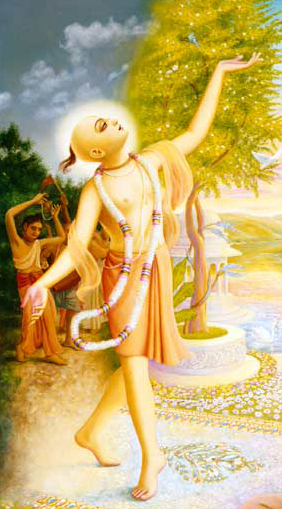 Chant out loud the Hare Krishna Mahamantra. Move to next bead and repeat the mantra. Move along to the next bead after every mantra by pulling the bead towards to you with the thumb. 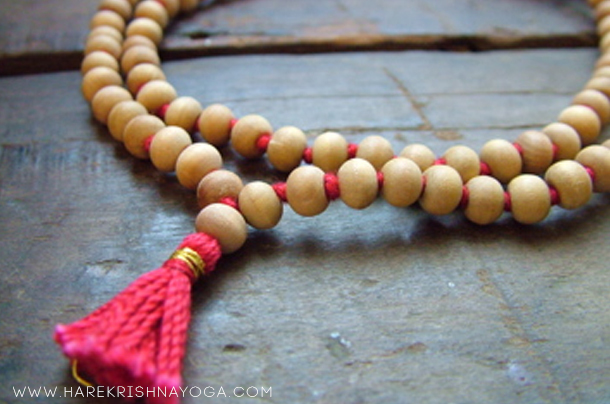 Once you reach the Krishna Bead you have completed one round of 108 mantras. 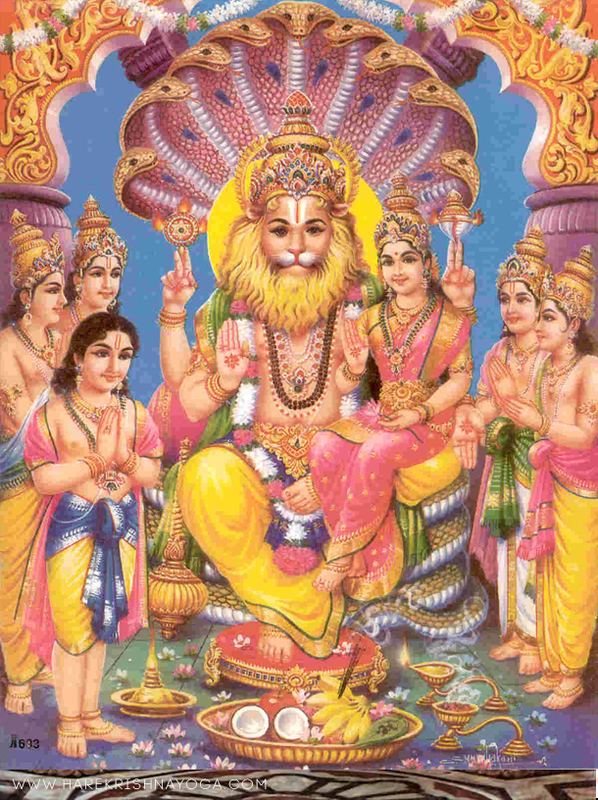 Chant Panch Tatva Mantra for Blessings. It's not a typo, the message of this verse was so important it had to be repeated 3 times! Hearing and chanting are the first two stages of devotional service. Mantra meditation is fundamental for spiritual progression as Krishna's names are transcendental sound vibrations that can purify and cleanse the heart as well as bring one closer to Krishna. Chanting awakens the dormant love and Krishna consciousness within, making the individual qualified to execute devotional service. Kirtan: Chanting in rhythmic form, accompanied by musical instruments and audience participation. The leader of the kirtan will sing/chant one mantra and the audience are encouraged to repeat, as well as clap along and dance. 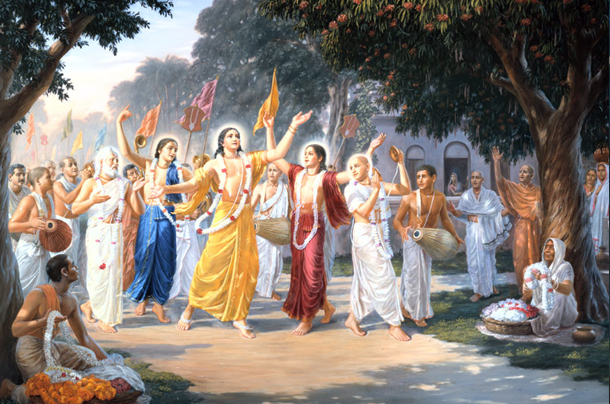 Harinaam Sankirtanam: Congregational chanting of the Holy names of Krishna, which takes kirtan to the streets for all to hear and benefit from - as inaugurated by Lord Chaitanya. 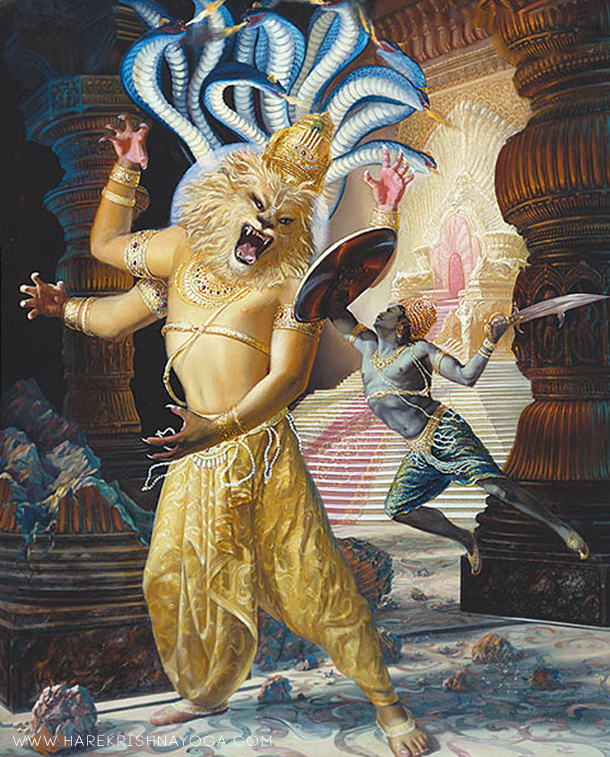 Kirtan and Harinaam sankirtanam are both very enjoyable and fun, however Japa is the most potent of the types of chanting as it is considered the most selfless and more austere of the 3. It is recommended to chant a set amount of rounds (108 mantras) every day. Regular silent meditation is very difficult as the mind is always active. There is no focal point. One may only experience temporary relief and peace and quiet until the mind once again takes control. Mantra meditation however helps to free the mind. It does this by engaging all the senses, with the mantra being the focal point. 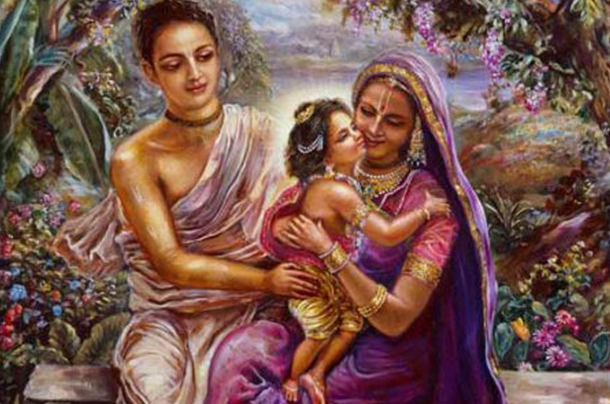 If the senses are controlled then the mind is also controlled and fixed upon the remembrance of Sri Krishna. 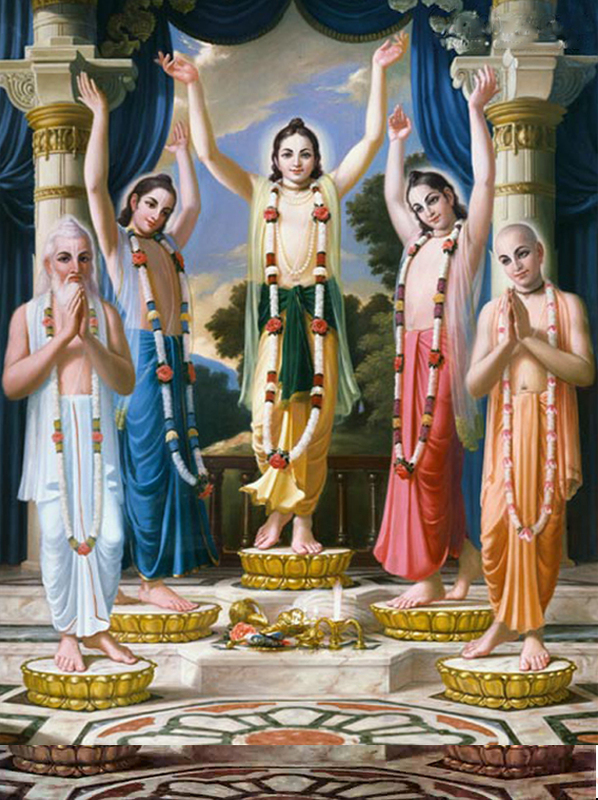 The Hare Krishna Maha-Mantra is world renowned and is the single most recommended mantra to chant in this day and age. 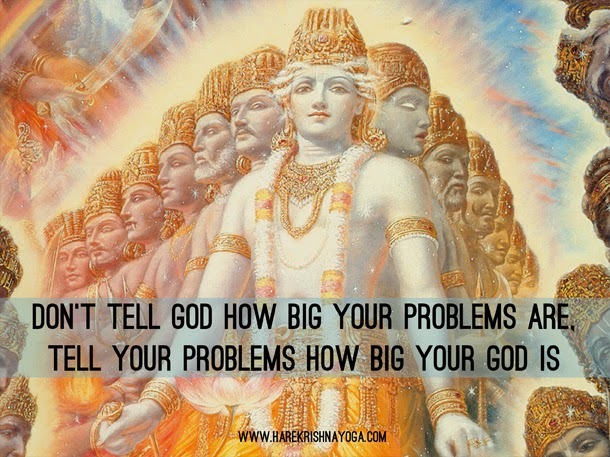 The names of God are non-different to Krishna himself and have a deep spiritual significance. Following the explosion at our previous centre, we have wondered around various venues, none of which have allowed us to fulfill our full range of activities. Not only was it a miracle that no one was hurt in the explosion but it was a miracle that we were gifted a grade II* listed building by one very generous family. This building is situated on 31 Granby Street, Leicester, neighboring Town Hall. Right at the heart of the City stands the most beautiful jewel of Victorian architecture, A spiritual centre, the new home of ISKCON. 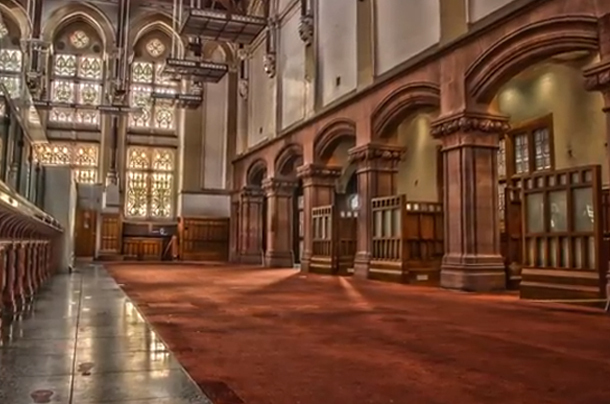 Previously the home of HSBC bank, ISKCON would like to regenerate this building to act as a perfect community hub, providing a variety of activities to suit the needs of all. A place to welcome people from all walks of life regardless of class, colour or creed. To find a common link in society where we can integrate as one community. A heritage room celebrating the work of renowned architect Joseph Goddard. It will provide a base for learning for schools and colleges. A café & restaurant serving wholesome, mouth watering international cuisines for the taste buds of all. A library with a range of books in 165 languages, providing a place for the inquisitive minds for thought, reflection and reading. A truly versatile venue that will serve for Weddings, birthdays, engagements or even corporate events. Please help this dream become a reality. We are currently trying to raise £2M to regenerate this building for you our loving community. We are all one and can work best together, with a little help from all of you we have the potential to meet our target. Please donate, tell you friends, family & colleagues. This is a genuine once in a life time opportunity to be part of a wonderful project that will sit right at the heart of the City in the Centre of England. (Eg to Donate £10. Text RAMA08 £10 and send it to 70070). You may not realise it, but we are always serving. Serving our mind, our body our boss, our society our family, the laws of our country, our government by paying tax. Everything we do is in service. So serving God, should come very naturally. As the third step in bhakti yoga, after acquiring faith and the association of devotees, one can be introduced to devotional service. When we come before god, often we ask God for material benefits "Dear God please let me pass this exam, please let me win the lottery!". We start bargaining with God, "I'll come to the temple every day if you grant my wish", or "I'll donate this much money if you fulfil this desire". It becomes a business like relationship rather than a relationship of love. 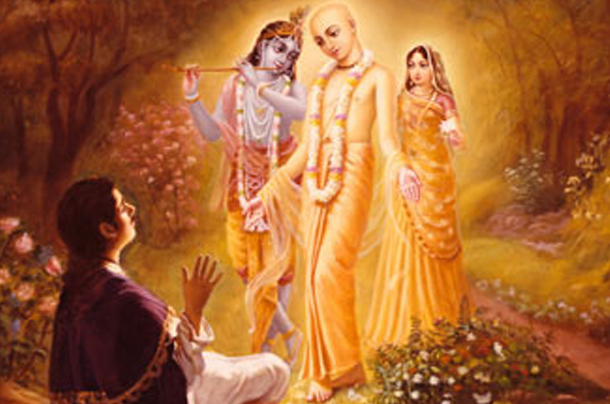 However devotional service is selfless and we ask Krishna, "Dear Krishna, What can I do for you?" and not "what can you do for me?". 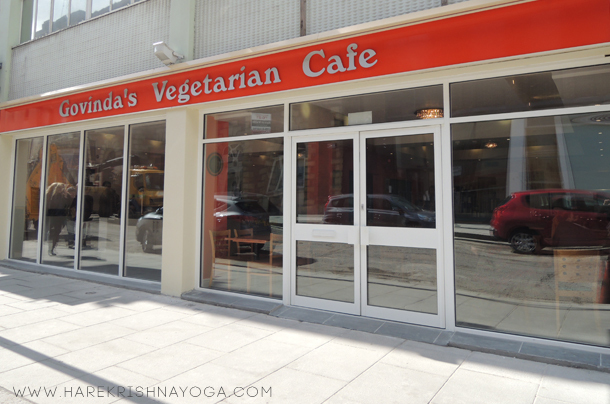 Today was the grand opening of the first Govinda’s Vegetarian Café in England outside of London. 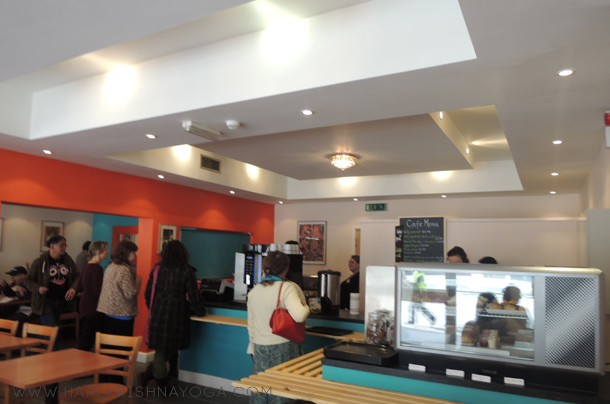 Located in the trendy shopping area of Nottingham City Centre, Govinda’s is a good value and heart-warming place to eat. The delightful surroundings is divided into a cafe serving light snacks and daily specials and also a buffet serving an array of delicious Indian food. 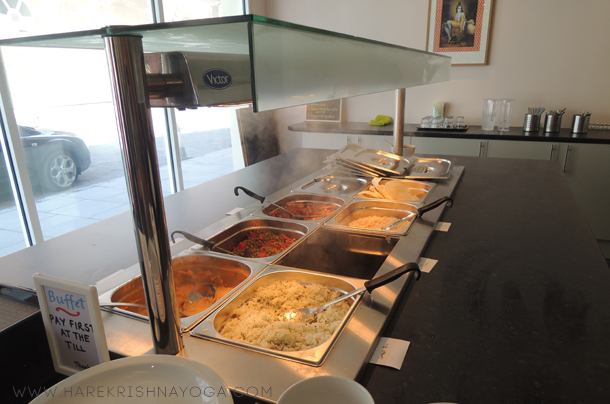 The pure vegetarian restaurant is ran by ISKCON with a cheerful team of volunteer Hare Krishna devotees serving tasty spiritual food. 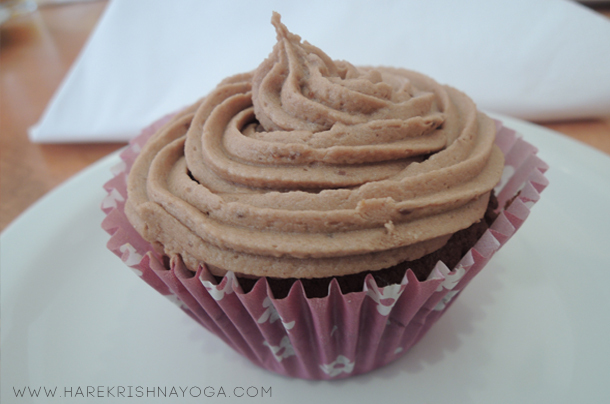 All preparations are prashad meaning it is blessed and so is karma free! Govinda’s Nottingham serves food that is satvik, meaning it is without meat, fish, eggs and also onion and garlic and full of love and devotion! Open Monday – Saturday: 11am to 6pm. 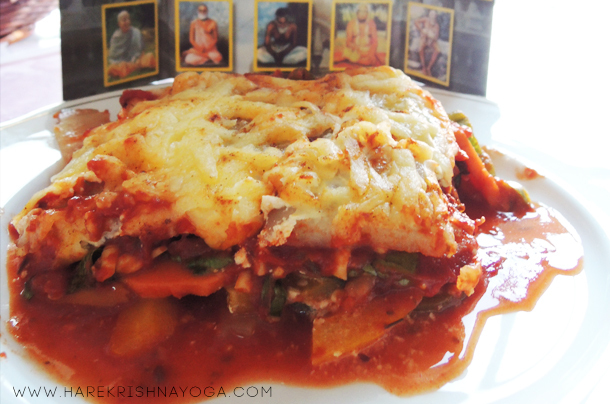 A world famous Hare Krishna dish much loved and favourite of many. 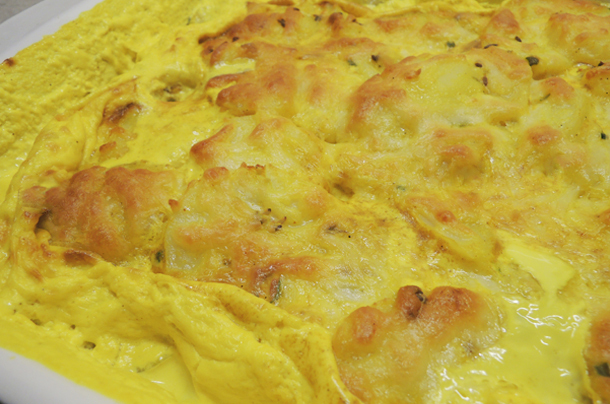 Slices of potato in an irresistibly rich, creamy and tasty sauce with a magnificent Golden colour named after Gauranga Mahaprabhu. Boil the potato slices in lightly salted water for about 8 minutes till cooked but firm. Careful not to over-cook or you will have Gauranga Mash potato! Preheat oven. Heat oil in a saucepan over medium heat and when hot, add jeera, ginger and then green chilli. Saute quickly and add hing followed by haldi and black pepper and stir briefly. Add the single cream, salt and water. Stir into a smooth and even golden sauce and remove from the heat. Off the heat, add the potatoes to a baking tray or casserole dish and pour mixture over potatoes and gently combine. Top with a layer of cheese and sprinkle with paprika. Place in the top portion of preheated oven. Bake for 30 minutes or until the top is golden brown. Serve hot. For a less Indian taste, instead of ginger, chilli and Jeera, use fresh herbs such as parsley or thyme. Alternative to single cream, use sour cream. Try other vegetables, eg. Cauliflower. Peas and carrots.